This page lists various associations the parish of Kirkcudbright has with the Covenanters. Gateway to town where the heads of Major John MacCullloch of Barholm and John and Robert Gordon of Knockbrex were displayed. 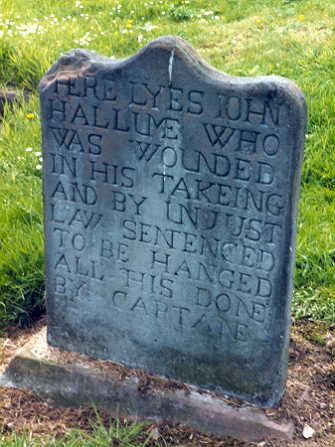 They were executed in Edinburgh after the Pentland Rising in 1666. Place where Covenanters were imprisoned and tried. In 1684 the Tolbooth was attacked by a number of Covenanters and a number of prisoners were released.